PHYTORELAX KERATIN INTENSE RECONSTRUCTION TREATMENT SPRAY 150ML – HAIRDEPOT - Hair & Scalp Care Products, Prevent Hair Loss, Shampoo, Conditioner, Treatment, Styling, Appliances and more! A professional conditioner that rebuilds and reinforces the structure of the hair, internally and externally. With its liquid keratin formulation it deeply penetrates damaged hair, instantly eliminating frizz and leaving the hair healthy, shiny and full of life. 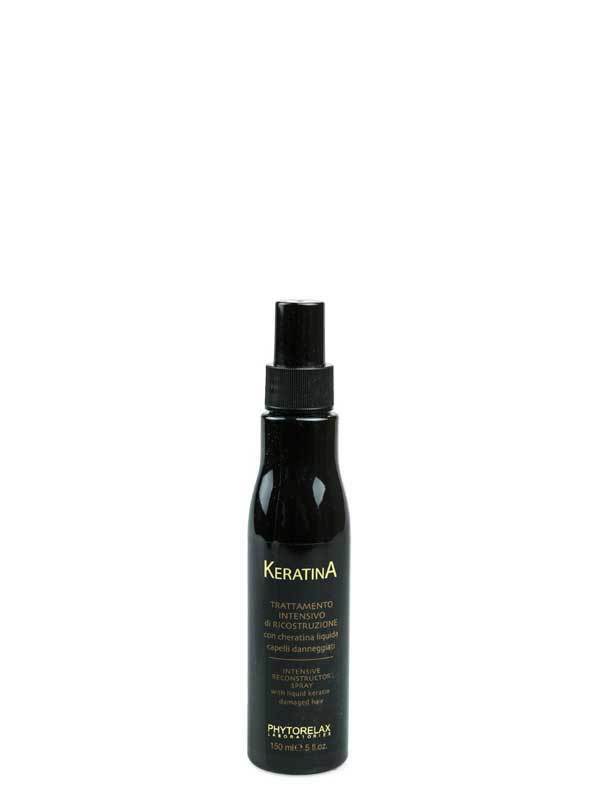 Spray on wet or dry hair and distribute evenly along the length of hair. Do not rinse.